User privacy is one of the most important things Facebook has worked upon really hard. You have given full control over your profile's privacy. For example, you can manage who can see your photos, status, albums, shares, and other things. You might have added so many people on your Facebook profile. 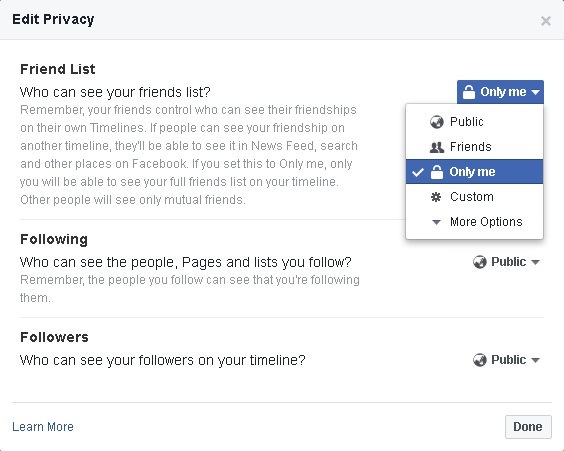 By default, your friend list privacy is set to public which means that everyone visiting your profile can see who you are friends with on Facebook. If you don't want other people to see your friend list, you can easily hide it from them. 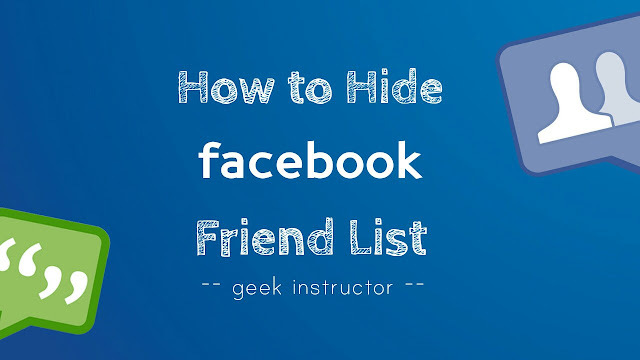 This tutorial will guide you how to prevent other people from viewing your Facebook friend list. First of all, open Facebook desktop site and login to your account. Next, go to your profile and tap "Friends" option under the cover photo. Now tap the pencil edit icon and click "Edit privacy" option. In a pop up window that appears, click the audience selector button next to "Who can see your friends list" option. Now select the audience you want to allow who can see your friend list. Public: This is default option set by Facebook. Public means everyone who visits your profile can see your friend list. 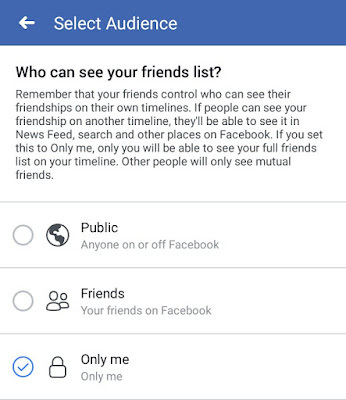 Friends: When you select this option, only your Facebook friends will be able to view your friend list. Only me: This will hide from friend list from everyone. Custom: Under custom privacy, you can particularly select those people who you want or don't want to see your friend list. More options: If you have created separate groups for friends, family, work, school or location, you will find them under more options. 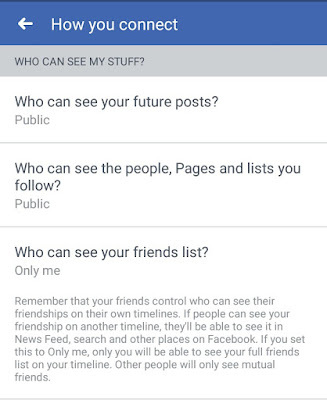 Note: When you hide your friend list, people won't be able to see how many friends you have on Facebook. Although, they can see mutual friends. The user interface of Facebook mobile app is totally different from the desktop site. 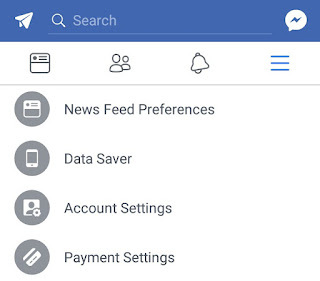 Here's how you can hide friend list on Facebook mobile app (Lite version also). 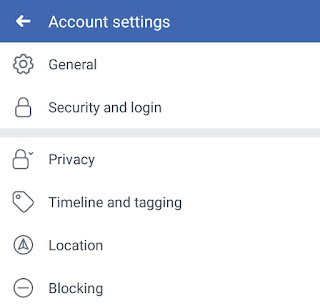 Open Facebook app and login to your account. Tap menu button (three parallel lines at the top of the screen). Next, scroll down and click "Account Settings" option. 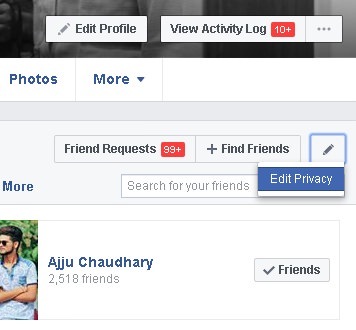 Now click "Privacy" and then click "Who can see your friends list" option. Finally, select the audience you wish to show your friend list. That's it. This method also works on Facebook desktop site and mobile basic version. If you want to ask something about this tutorial, feel free to share it in the below comment box.